I've been going on for around two months now about revamping my bedroom and it's finally time to share what's changed with you! I have never been happy with my current bedroom since I moved into it in 2011; it's tiny, it's a box room and for someone who has a lot of hobbies and interests, it definitely is not big enough. However, I can safely say I am finally happy with it, apart from I have no where to hide Christmas presents, damn it! Something I am currently obsessed with is these Vonhaus drawers; they have so many different styles with different amounts of draws however I am loving the set of ten drawers! I also found a huge set which has a set of five deeper drawers on one side and the ten on the other which came in real handy for all of my University things. I started off with one set of drawers last year and in the past two months I now have four in total; I'm definitely not a hauder! 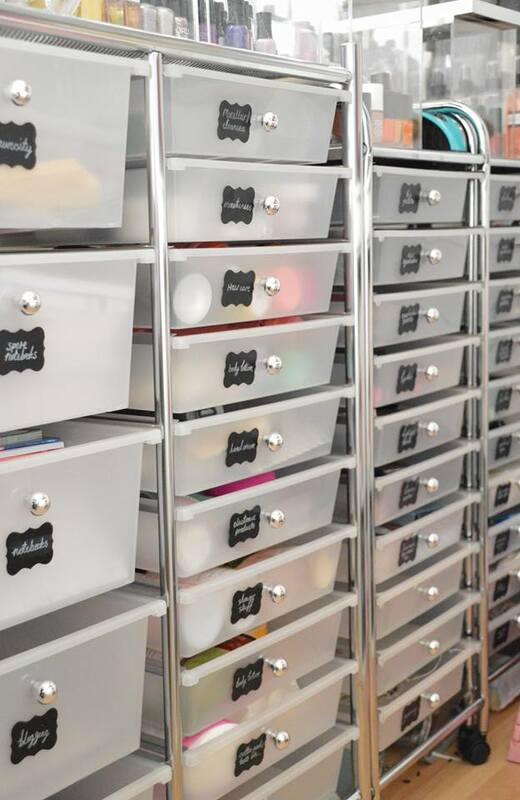 I labelled each drawer using sticky black board labels off Ebay and bought chalk pens whilst I was at it because they're so much easier to use. 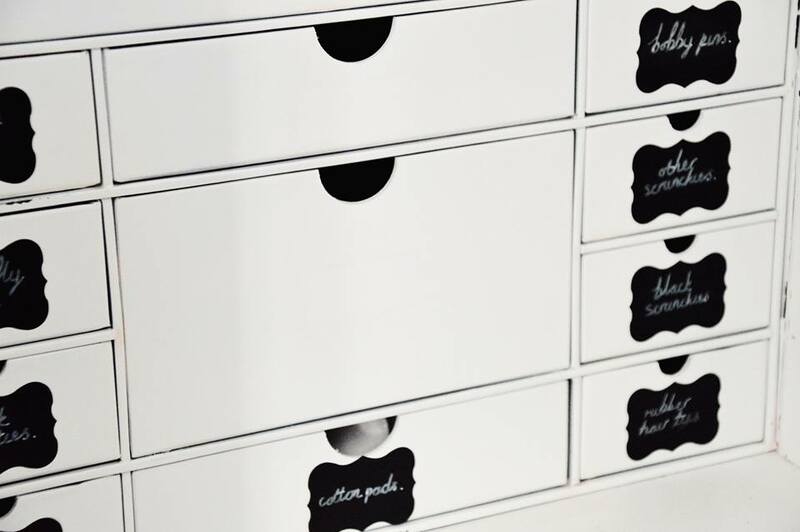 I also desperately wanted to spray paint my Makeup Revolution storage chest some how, and after wrecking one with white paint, I then went in with my second set with a spray can; they are now insanely beautiful and so handy for all of my hair ties, cotton pads and bobby pins! 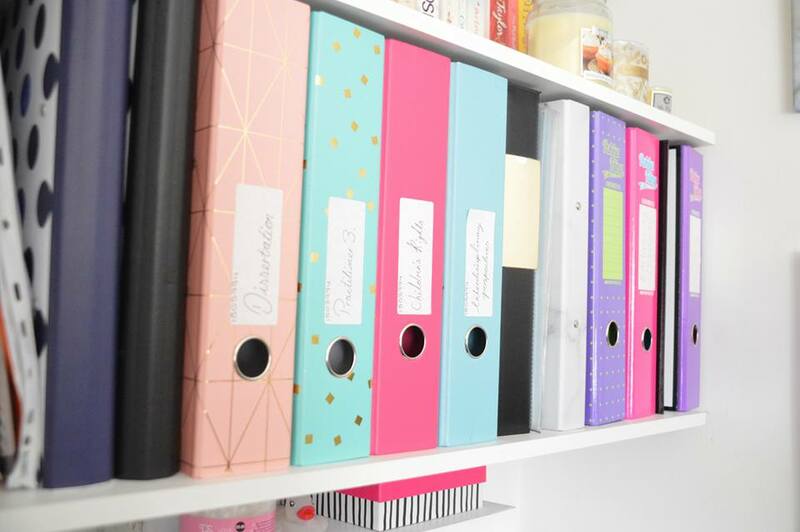 My shelves are another area which I have never been happy with; however while I was repainting my bedroom I decided it was time to go through them, organise them and make them look wonderful again! 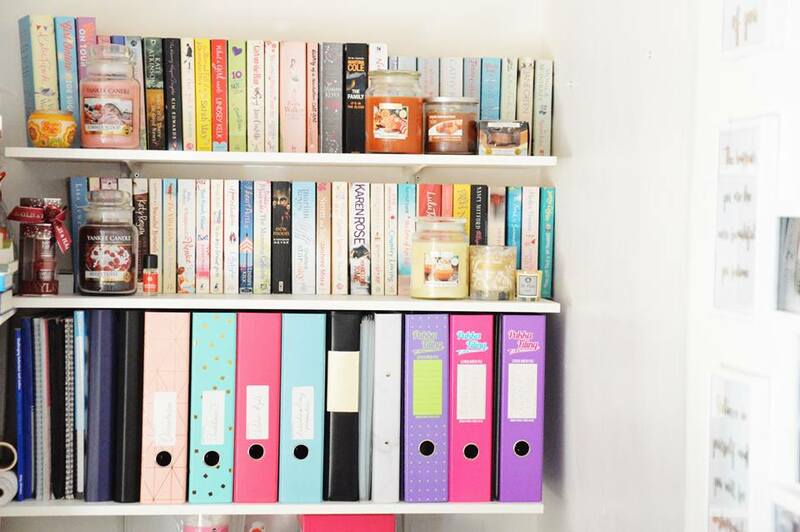 As you can tell, I love a book; but I'm also a student with a love of candles. So why not have a whole area in your bedroom showcasing your love for all three? 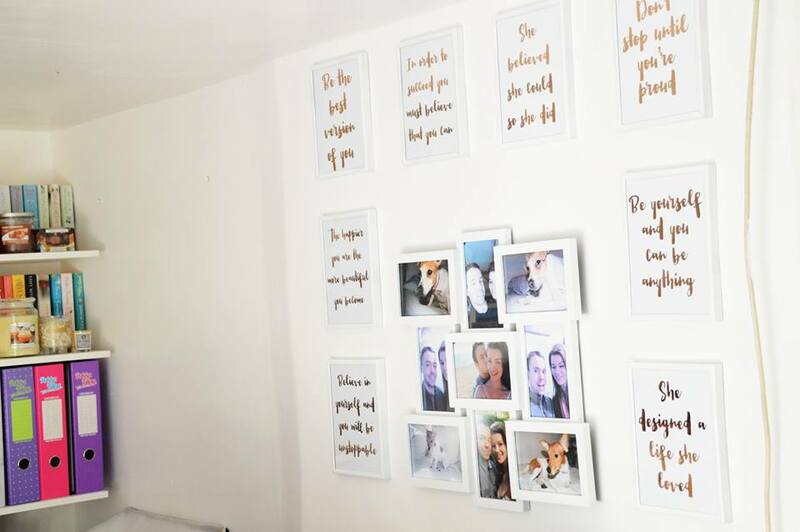 I've been mentioning my little DIY project with Wilkos frames recently and I absolutely love how they turned out. Sadly unless I put a nail in the wall, they don't always stay up using the "no hole" sticky hooks by Command. 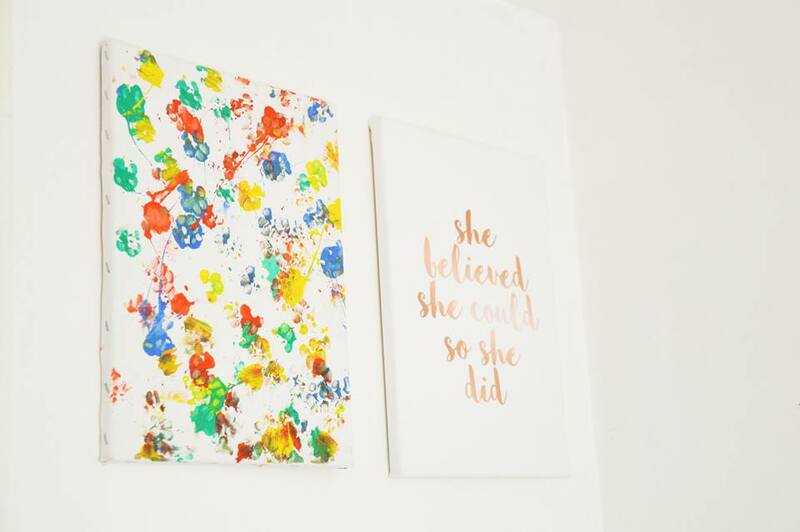 I purchased these prints from Chloe who used to have That Lame Company as a way of expressing myself, my love for quotes and in total I chose eight quotes which represented myself as a person. 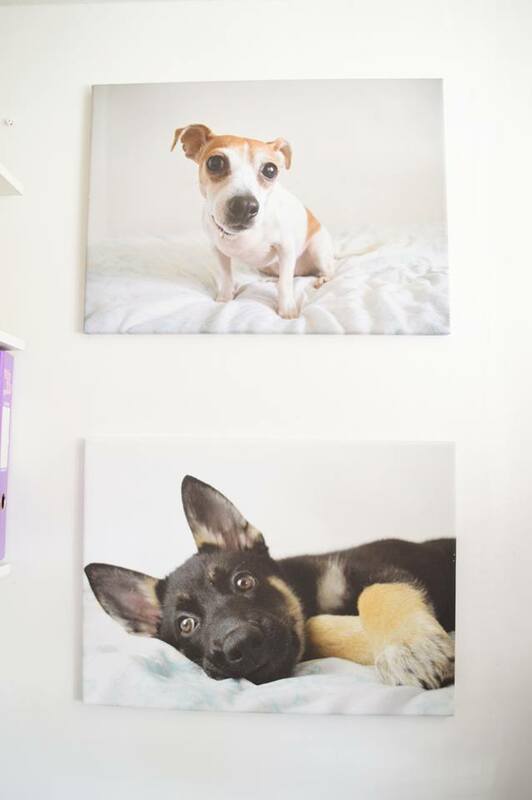 After having to rehome my dog, I decided I wanted to some how still have her here with me, so I chose to use up a little area on my all with two canvas'. One of a memory of Ruby (the jack russell), and of course a way of remembering willow as a puppy; a huge canvas! I had so many issues ordering these and waiting for them to turn up after being lost in the post; but I am so pleased with how they turned out. I have to say this is my favourite part about my bedroom; a quote which I have had on my wall since 2011, combined with my 24 picture frame of my first holiday abroad with Luke. I absolutely love photos and scrapbooks and the idea of having a huge frame which could move out with me one day into my new home made everything feel a little bit magical. 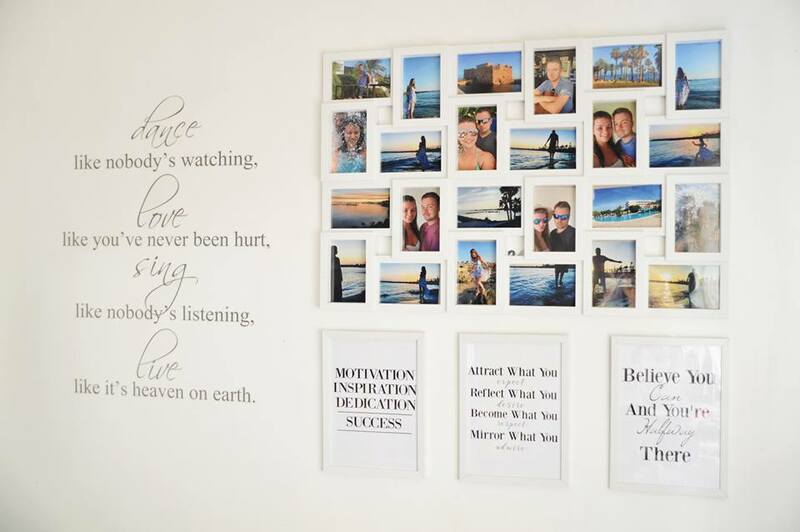 I then completed this wall with my Very Vez quotes which I wake up to every single morning; a great way of starting the day off in a great, positive mood. There's a discount code at the bottom of this post if you're interested in buying your own quotes. I absolutely love the quote Always Kiss Me Goodnight. I remember seeing it on a post on facebook so many years ago and mentioned to my mum how I had to have it. I hope to one day have a huge version of this over a king size bed (we can all dream). I love the little added girly touches! Last but not least, I finally managed to get my canvas up on the wall of Ruby's paw prints. A few years ago I decided to put an old sheet down in the bathroom and have Ruby walk through paint and then walk across a canvas so I can always have her paw prints and I'm so glad I did. It adds a pop of colour to a white bedroom and it's original! No one else has it. I then paired this with my canvas from Posh Canvas. The guys over at Posh Canvas kindly created a canvas just for me; something no one else has. Not only is it the colour font of my blog theme, but it's the quote which I have literally everywhere. In a photo frame, in a personalised necklace and if I had a tattoo, I would get this quote somewhere on my body. I may created a post later on explaining why I love this quote so much. But I cannot thank the team at Posh Canvas for creating something which means the entire world to me. The quality is absolutely beautiful and it wasn't a job which was rushed, they really took their time on making this right for me.